Maps help us know where we have been and where to go next! Not sure which park is close and convenient to you? Visit the Parks Map for a general overview of the City of Cape Coral Parks. Interested in cycling opportunities in the Cape? The latest Bicycle Map will show you the major bike lanes and paths. Looking to improve your health? The City of Cape Coral and Cape Coral Hospital have partnered to create a "Memorandum of Understanding" intended to promote each other's public facilities and encourage health and wellness. Cape Coral Hospital's "Pathway to Discovery," located on the west side of their Del Prado campus, features walking/jogging paths, exercise stations, a reflection pond, a healing garden and a teaching garden. Take advantage of this free community resource! The Boat Ramp Map as well as the Kayak Map will show you where you can launch your boat or kayak, which ramps are improved or unimproved, and what kind of water access is available. Additionally, you can check out Panoramic Views of various parks courtesy of Southwest Florida 360. 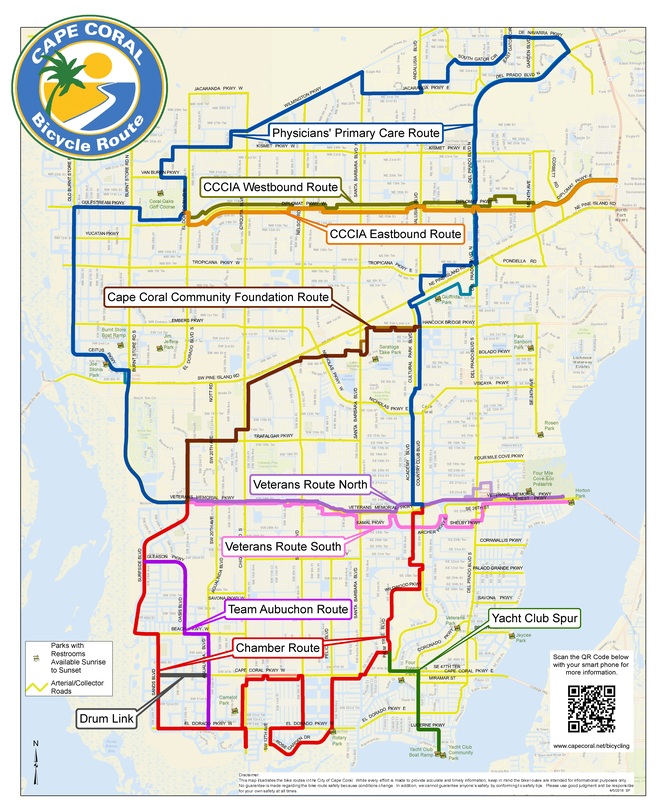 Regardless of where you may want to go, the maps of the City of Cape Coral Parks & Recreation will help show you the way!